Horror fans have had a bit of a mixed bag over the last couple of years. Films like Lights Out and Don’t Speak seemed to suggest that production companies were starting to realise that mainstream horror fans wanted a little bit more grunt when it came to the horrors that were hitting cinemas screens. But then came Annabelle: Creation and Get Out which went back to the tired old, too lame, too tame style of mainstream horror that had been disappointing horror fans for years. It was almost a toss-up on what the remake of Stephen King’s classic tale It would be. Would they take it down the tame horror lane or would they want to take a chance and really impress fans. 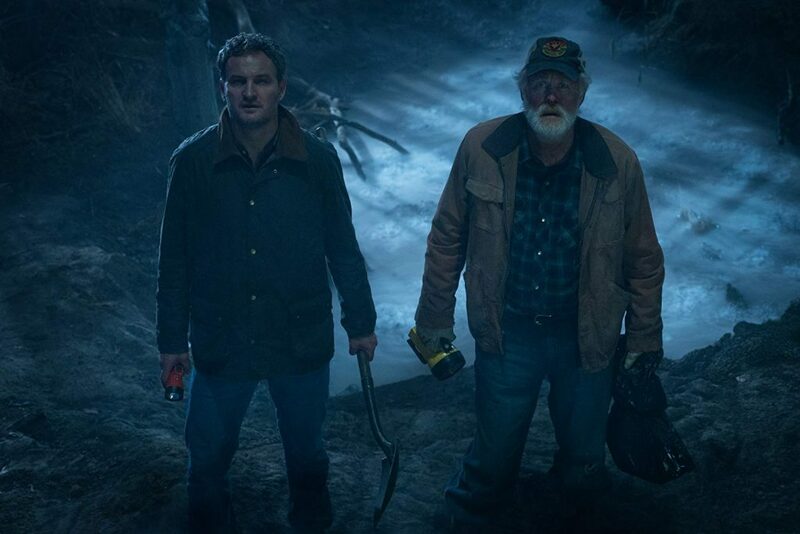 The good news is that the latter is the case as director Andy Muschietti (Mama, Historias Breves 3) brings back a welcome dose of nastiness to mainstream horror. This version of It is told through the eyes of the children of Derry. Headed by Bill (Jaeden Lieberher – St. Vincent, Midnight Special) whose younger brother Georgie (Jackson Robert Scott – Skin, Criminal Minds) is the latest child to go missing in the town a group of youngsters starts to piece together the puzzle that has been haunting the town for generations. Bill wants to spend the summer with his friends searching for Georgie and dodging the local bullies but when the troubled Beverly (Sophia Lillis – The Garden, 37) starts to have some terrifying experiences that they can all see and the new kid in town Ben (Jeremy Ray Taylor – Ant-Man, Alvin And The Chipmunks: Road Chip) delivers his theory about an evil hitting the town every 27 years all the pieces of the puzzle starts to fall into place. 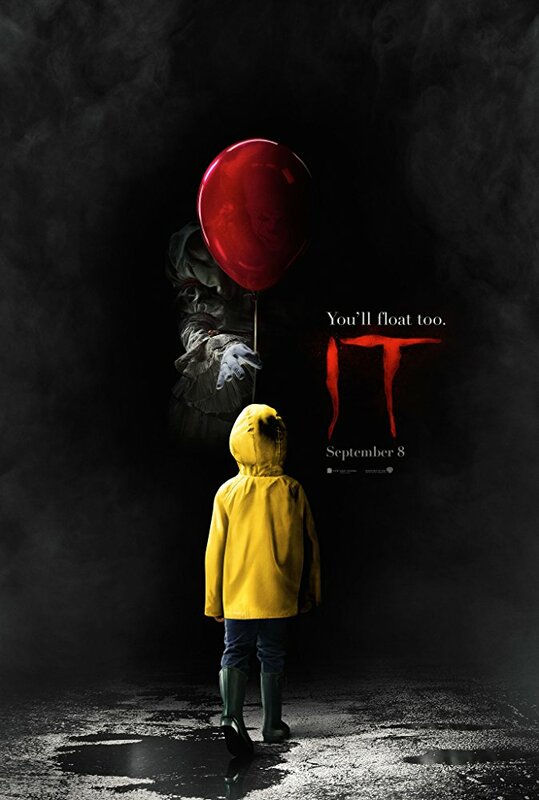 Soon it becomes obvious that a deadly clown called Pennywise (Bill Skarsgard – Simple Simon, Atomic Blonde) is behind everything and the group of friends which also includes Richie (Finn Wolfhard – Stranger Things, Sonara), Mike (Chosen Jacobs – Cops And Robbers, Hawaii Five-O), Eddie (Jack Dylan Grazer – Tales Of Halloween, Beautiful Boy) and Stanley (Wyatt Oleff – Guardians Of The Galaxy, Once Upon A Time) have to overcome their fears and face them head on. To be honest we probably haven’t seen a director take such a chance with a remake since Rob Zombie worked his magic on Halloween. With It Muschietti has delivered a completely different film to what we have seen with any adaption of It previously. He takes Stephen King’s tale and turns it into a coming age of film… and a damn fine at that. These kids aren’t your stereotypical ‘film kids.’ First he’s got kids that aren’t your average ‘child model’ actor and then has them speaking the way you would expect them to, yes parents kids do use the f**k word, and has given them each their own unique personality, which comes in handy as their fears come to the surface, rather than just simply having all the kids act exactly the same way. And while I’m sure some critics will question the scene with the kids sitting around their underwear but to me it brought a real natural feel to the film. That natural feel also comes through in other ways throughout the film. Going back to the novel and giving the main character a stutter again makes the film feel incredibly natural and the fact that the team of screenwriters who worked on the film also saw fit to bring in controversial storylines such as child abuse only grounds the film even more in the real world. It would have been very easy to give the kids simple fears such as spiders and what not but to take it that step further and actually introduce things, like child abuse and bullying, that sadly some kids have to go through in their lives is something that not many people would have expected the script to have done. Of course the best part of what Muschietti has done with this version of It is to remember that he is actually making a horror film and that it is more than okay to actually deliver some horror. Yes there are confronting moments of teens having to get violent with baseball bats, but realistically what are they to do when they are going into battle evil. Muschietti also doesn’t fall into the trap that so many horror filmmakers do and decide to rest his laurels on jump scares to get at his audience, instead he creates truly horrific moments that are really going to impress the hardened horror fans out there. When looking at the cast you just have to say that the kids do an amazing job as an ensemble. Having said that though Jaeden Liebehrer and Sophia Lillis do put in performances well and truly beyond their years though. Aside from the terrifying scenes with Pennywise these two youngsters have to conjure up the emotions that a teenager would be feeling after losing a sibling or being sexually abused by their father. No doubt both actors had to go to some pretty dark places in order to tap into that and both need to be congratulated. Billy Skarsgard also does an amazing job playing Pennywise and hopefully if they are able to do the sequel set twenty-seven years into the future that they are able to retain him. Andy Muschietti has delivered one spectacular horror film with It. The harshness of the horror will keep fans happy while the characterisation and coming-of-age storyline is a welcome change to what could have been. Group that together with a great soundtrack, sadly no Pennywise on it though, and what we are left with is a horror remake that far exceeds what anyone expected for it. Summary: The last Gunslinger, Roland Deschain, has been locked in an eternal battle with Walter O’Dim, also known as the Man in Black, determined to prevent him from toppling the Dark Tower, which holds the universe together. With the fate of the worlds at stake, good and evil will collide in the ultimate battle as only Roland can defend the Tower from the Man in Black. Whew… I feel like I have dodged a bullet. Reading reviews before I went into to see The Dark Tower meant I was preparing myself for an abysmal nightmare of a film – one that some critics had labeled the ‘worst film based on a Stephen King novel ever’. So imagine my surprise when I sat down and ended up finding myself watching a fun, intriguing, albeit brief, supernatural action film. The Dark Tower sees a story that took King seven novels to tell told in a film that clocks in at just over an hour and a half. It begins with New York being rocked by earthquakes that have experts confused. Meanwhile, young Jake (Tom Taylor – Doctor Foster, Legends) is having terrible nightmares in which he sees a Dark Tower and dark characters including a Gunslinger and a man in dark jacket. Jake’s mother, Laurie (Kathryn Winnick – Vikings, Love & Other Drugs) is convinced that the dreams are the result of the trauma of Jake’s father dying while on duty as a firefighter and seeks medical advice for him. However, soon the jigsaw pieces start falling into place for Jake. The earthquakes are being caused by the man in the black jacket… aka Walter (Matthew McConaughey – Interstellar, Dallas Buyers Club) using children’s minds in horrific experiments to try and bring down The Dark Tower – a tower that prevents the darkness of other worlds taking over our own dimension. The only man who can stop Walter is the last known gunslinger, Roland (Idris Elba – Prometheus, Zootopia) who is haunted by the fact that Walter has killed everybody that has ever meant anything to him. Walter then realises that with Jake’s psychic ability he has the one mind that can bring down the Dark Tower so he orders all his minions to go after Jake who has found Roland… cue the music for the battle to end all battles. When you put everything into perspective director Nikolaj Arcel (A Royal Affair, Truth About Men) and his screenwriters have actually done a pretty good job at making The Dark Tower work. Putting seven novels worth of work into one relatively short feature film has taken a mountain or work. You could have been forgiven if this had been stretched out into a trilogy or at least a film that went well over the two-hour mark. But somehow Arcel and team have managed to tell the story without making it feel incomplete or leaving the audience not understanding the world that we find ourselves in. Somehow the fact that some of the beings that surround Walter aren’t fully explained means we get to see the story from the point of view of Jake a little more… and it least Arcel doesn’t fall into the trap of filling the film with scenes and scenes of exposition. Visually The Dark Tower looks great. Darkened scenes of man versus monster are stark reminders of films like Harry Potter while the harshness of a lot of the scenery in most scenes brings back memories of films like Priest or The Book Of Eli. Even the CGI effects work pretty well, more than enough to draw the audience into the world at hand, and while some films suffer when they try to mix the supernatural with a modern day city there is no such issue here with the scenes of modern day New York flowing well with the rest of the film, and thankfully they steered away from a battle that involved the entire city falling from the sky or the like. Really the last battle in this film just needed to be between Jake, Roland and Walter and that was what delivered, now why couldn’t we have had something like that in Wonder Woman? The films two leads also seem to be enhanced the short nature of the film. Matthew McConaughey seems to have a lot of fun playing Walter and whether it be a scene where he is torturing poor Kathryn Winnick or messing with the mind of Roland he seems to embrace the evilness of his character while remaining smooth and charming… much like Jack Nicholson did years earlier in The Witches of Eastwick. Idris Elba is also fantastic as the cowboy inspired gunslinger. He is perfectly cast in a role that demands his action/stunt ability but also at times needs him to step up in a dramatic, gut-wrenching scene. Likewise, he is well supported by young Tom Taylor whose emotional portrayal of Jake shows that he is an actor to watch in the future. Don’t be fooled The Dark Tower is not the mess that everybody is saying that it is. With its dark storyline that doesn’t hold back to spare the audience’s emotions and great special effects, this is just one of those supernatural thrillers that you can sit back and enjoy while you munch on popcorn. The only weakness that really annoyed me was that I could have easily spent another half an hour in this universe, but still, this is an enjoyable film with a nice graphic novel feel to it. 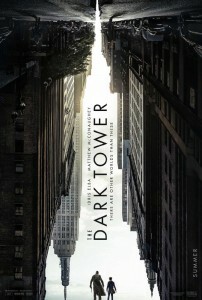 Other Subculture Entertainment The Dark Tower Reviews: You can listen to Dave Griffiths’ The Dark Tower review that aired on That’s Entertainment in Melbourne, Sydney and Brisbane on The Talking Lifestyle network on 17/08/2017 right here. Summary: Three years past his divorce, veteran novelist Bill Borgens (Greg Kinnear) can’t stop obsessing over his ex-wife Erica (Jennifer Connelly), who ignominiously left him for another man. Even as his neighbor-with-benefits, Tricia (Kristen Bell) tries to push him back into the dating pool, he remains blind to anyone else’s charms. Meanwhile, his fiercely independent collegiate daughter Samantha (Lily Collins) is publishing her first novel while recoiling at the very thought of first love with a diehard romantic; and his teen son Rusty (Nat Wolff) is trying to find his voice, both as a fantasy writer and as the unexpected boyfriend of a dream girl with unsettlingly real problems. As each of these situations mounts into a tangled trio of romantic holiday crises, it brings the Borgens to surprising revelations about how endings become beginnings. Please check Greg’s review of ‘A Place For Me’ that is available on www.filmreviews.net.au. Other Subculture Media Reviews of ‘A Place For Me′: Check Episode #32 of our The Good The Bad The Ugly Podcast for a more in-depth review of ‘A Place For Me’.